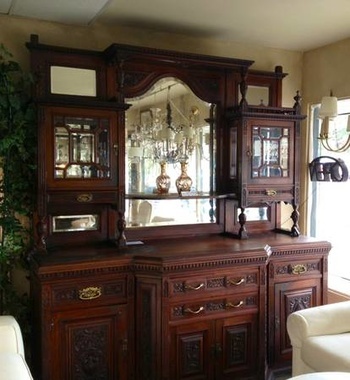 can anyone help me identify this sideboard with cabinet? I think it is walnut, I found some square nails the joints in the drawers are hand cut, i have been told the pulls are English. Any thoughts of origin or date made? Amazing, very nice. Have you taken out the drawers to see if there is a makers mark on them. Look under the drawers and on the sides.